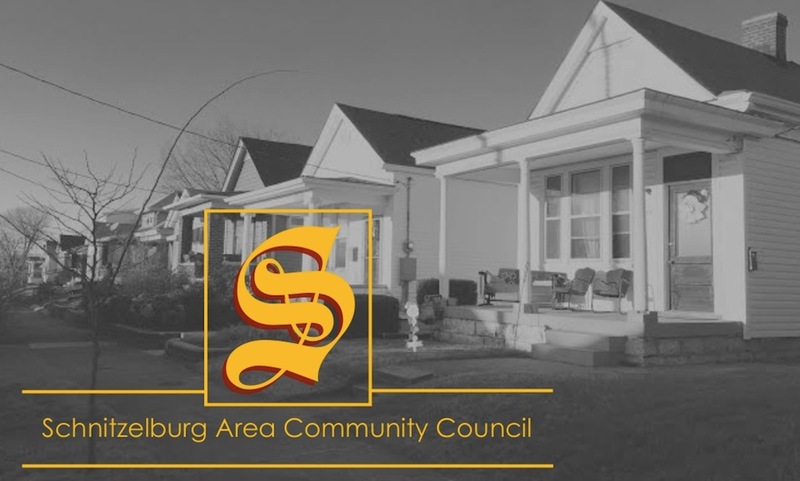 There has been a wealth of positive momentum going on in and around Schnitzelburg lately and, this week, we would like to turn our attention to our neighbors in the Shelby Park community. From planting 160+ trees this fall to providing free, hot meals to children all summer long*, the Shelby Park Neighborhood Association is blowing us away with their spectacular endeavors. 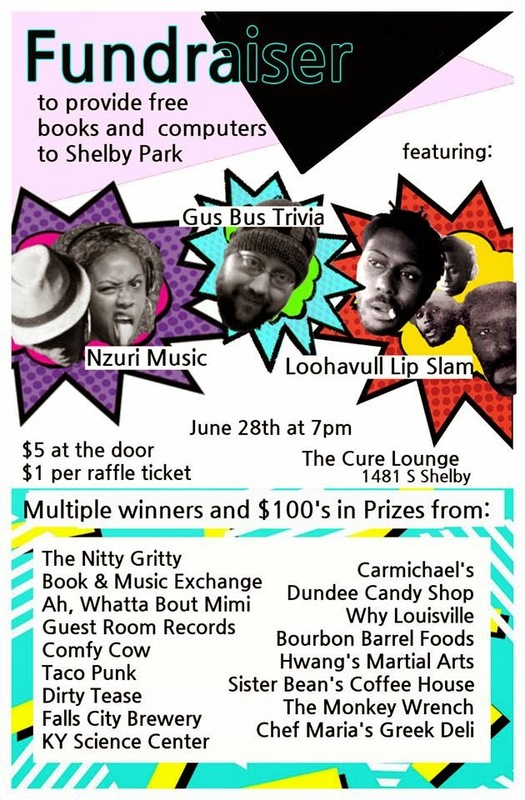 On June 28th at the Cure Lounge (1481 South Shelby Street), the Shelby Park Neighborhood Association will be hosting a "Good Time Fundraiser" to support another worthwhile endeavor: the revitalization of the Shelby Park Community Center, nee the Shelby Park Public Library and formerly a Carnegie Library. Plans include a computer center, an extended library with updated books, and wiring the entire center to provide WiFi to the center and (hopefully) the entire park - the first free WiFi hot spot park in Louisville. Bryan Burns, Vice President of the Shelby Park Neighborhood Association, was kind enough to answer some questions about their upcoming fundraiser for us. What demographic will be served by the community center's computers and books? Are the number of computers you are going to buy contingent on the amount you all are able to raise? As far as how many computers we get in place, it will be determined by how much money we can raise. We were actually already able to acquire a few computers for donation but, according to those currently in charge of the Shelby Park Community Center, current Metro Policy does not allow for accepting donated PC's, only money for the purchase of new ones. It's not a policy I'm personally a fan of and it may diminish our returns, but we will do what we can to work within the restrictions set in place. Beyond this, we are also looking to improve TARC stops in the neighborhood, and even installing bike repair stations. Mark my words, Shelby Park is the neighborhood to watch. Tell me more about the status of getting the community center set up for wireless. When will this happen? We're still waiting to get many of the details regarding WiFi in the community center, but we have been told that funding will be there, and it will happen very soon. On the neighborhood associations behalf, I have contacted Councilman Tandy's office and spoke to him in-person regarding the installation of wireless internet in the park and he was quite receptive. It was actually his suggestion that extending internet throughout the entirety of the park was a plausible idea. I believe the logistics are being determined by Community Revitalization Services and, at this point, I'm unsure if park-wide coverage is their goal. That is, however, where SPNA would like it to ultimately go. Free, park-wide WiFi is something that if it doesn't pan out in the immediate plans, we're going to push for it at a later time. If it comes down to being something that we would have to finance ourselves, I'm fairly certain the majority of our board would be fine with that, particularly if the community continues to support us in the way they have. As far as I know, once this happens, it will be the first Metro-operated park in the Louisville area that offers this. It would be a fantastic thing for District 4 to have. Will people be able to donate gently used books the night of the fundraiser for the center? This is actually the first of our two planned fundraisers. We are also planning to hold a "Stock the Shelves" fundraiser/book donation party at the Shelby Park Community Center on August 29th. We're looking to offer free music and free food for anyone in attendance in addition to some more raffle prizes and a silent auction. What does the $5 admission cover? Access to the back room where the fundraiser will be held. You get to play trivia, get access to the raffle, and hear the music and poetry. You can buy additional raffle tickets for $1 and every raffle ticket is redeemable for $1 off your next meal at Smoketown USA. 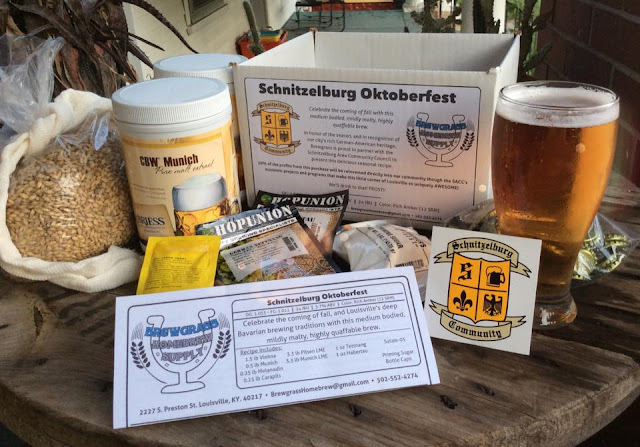 What are some of the other local businesses involved in the fundraiser? Prizes will be given to multiple winning teams of the trivia game and certain others will be awarded to raffle winners. We have a pair of tickets to any show put on by Actor's Theater this upcoming season, as well as tickets to the Kentucky Science Center, that can be won through the raffle. The raffle will include other merchandise as well. Honestly, the response from members of the Louisville Independent Business Alliance has been overwhelming and we had to actually stop taking donations at some point because organization, structure, and logistics were becoming difficult. While $5 might be a lot to pay per individual on a standard night of trivia, this game will have the highest stakes and the largest prizes on the line of any trivia night I've been to. Multiple teams can expect to walk way having made their $5 donation back and more. Hundreds in prizes are on the line. An incomplete list of businesses that have donated so far includes Taco Punk, The Nitty Gritty, Falls City Brewing, Bourbon Barrel Foods, Hwang's Martial Arts, Book and Music Exchange, Carmichael's Bookstore, Chef Maria's Greek Deli, Guest Room Records, Dirty Tease, WHY Louisville, The Monkey Wrench, Ah, Whatta Bout Mimi, Comfy Cow, Sister Bean's Coffee House, The Dundee Candy Shop, Woodstock Antiques, and, of course, The Cure Lounge. I would also like to mention that Alex Gustafson of Gus Bus Trivia is donating his time to MC the trivia night. People who enjoy trivia should check out some of the other weekly games he hosts. Additionally, a great new neighbor of ours, Casey Hamm, brought in his friends Nzuri Music to entertain us with music, and Loohavull Lip Slam to offer poetry after the game of trivia. Please check them out! Thanks for your time, Bryan, and we are looking forward to Saturday night! We hope others will join us in having a good time and raising money for a worthy cause. Thanks for all Shelby Park Neighborhood Association is doing in the community! *Dare to Care is providing meals at the Shelby Park Community Center to those 18 and younger for breakfast, lunch, and dinner, Monday through Friday (with the exception of dinner on Friday). Breakfast will be served 8-9 am, lunch noon-1 pm, and dinner 4:30-5:30 pm (again, with the exception that no dinner is served on Friday).